A submarine is not the greatest place for a book worm. That means Kindles and iPads are strictly forbidden. 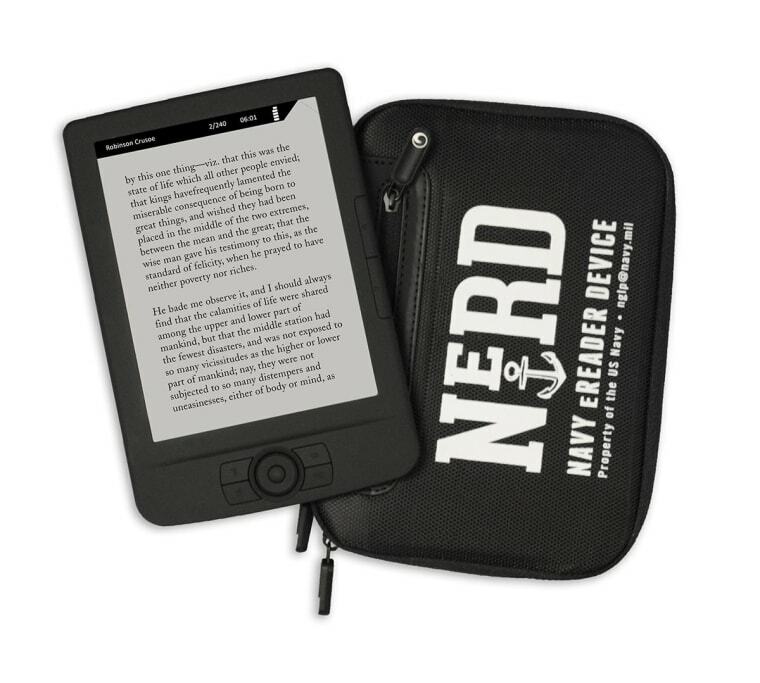 To solve that problem, Findaway World created the Navy eReader Device (NeRD). The e-reader is like a little, self-contained library. Each one is packed with 300 books, including bestselling thrillers, classics and even some fantasy favorites like George R.R. Martin's "Song of Fire and Ice" series, perfect for long missions into Blackwater Bay. It’s not quite the 108,000 titles available to other sailors in the Navy General Library Program, but it should keep even the most voracious reader occupied during a long stint at sea. Around 60 or 70 vessels will get the e-readers, with plans to get them placed on every Navy ship and submarine "very soon," according to the company. Each vessel will get between five to 10 of the devices. Once a sailor gets a NeRD, that is it — books can’t be added or removed from the device. In fact, in the name of security, it has no wireless capabilities, ports or removable storage. "From a technology perspective, it’s almost a step backwards, because consumers today are all about Wi-Fi and connectivity," Lazaro said. The Navy, obviously, has different priorities. Besides security concerns, submarines and ships have limited space. In the past, Lazaro said, vessels committed a locker to paperbacks. "You can imagine in a small locker, how many physical books you could fit in them," he said. "In that same locker we can put a stack of these e-readers loaded with 300 pieces of content. It's a dramatic difference."